Throw in a disastrous move of bringing in Josh Hamilton a few years back – a debacle that will see the club fork out $53.4 MIL over the next 2 year to see him play in Texas. Mike Trout needs some help in the lineup. The club would help itself immensely if they could acquire a leadoff Left Handed Batter, who drew walks and could play the OF. Oh, wait. Dexter Fowler is available, and wouldn’t cost and arm and a leg. Trout could see Calhoun be dropped to help protect him in the 4th slot, and Cron would also be lowered to a less pressured role in the lineup. You also have your 40+ HR First Baseman in Albert Pujols on the mend. They brought in Andrelton Simmons, Geovany Soto and Yunel Escobar (decent moves by the way), but that may only help on defense, with the departing players of Erick Aybar, David Freese and Chris Iannetta being a tad steadier at the plate than the incoming. The bench was horrid last year for the club, and a huge reason why they weren’t able to win some more games. I can also understand the idea to draft more players (as oppose to losing the pick if you spend on a Free Agent), but this idea you are even going to be as good offensively in 2016 – as you were in 2015 is absurd as presently constituted. Now I love their entire depth on the Pitching Staff. Yes veterans Jered Weaver and C.J. Wilson will not live up to their $20 MIL salaries this year, but having Garrett Richards, Matt Shoemaker, Andrew Heaney and Hector Santiago to round out the rotation is not that bad in the AL West. The Bullpen also has enough on the roster to win games. Get Ready For a Steady Dose Of Nava/Gentry and Giovatella! The LF tandem of Daniel Nava and Craig Gentry are listed on the depth chart right now. While Nava has had decent years in the past, so did Matt Joyce before wearing a Angels uniform. The likeliness in hitting well only in a platoon is a stark reminder of how that failed, and that is what Nava provides. Gentry is a defensive minded 4th OF at best. Johnny Giavotella at 2B wouldn’t be so bad if the LF and 1B situation was resolved at the start of the season. With Pujols out in April, Nava could see some at DH while Cron has to head out there. C.J. Cron might be the biggest wildcard in whether the club is a contender or not. Also hate the depth at Catcher, but in a Division where there is not many great backstoppers, this may not pose much of a problem. 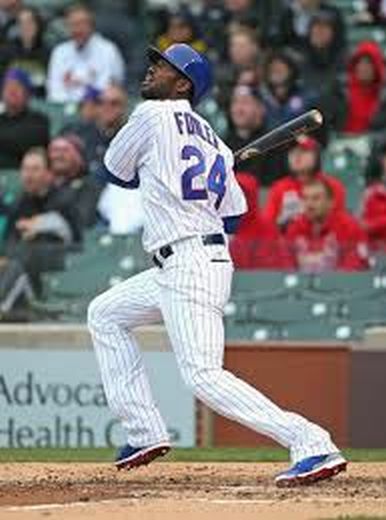 The club really needs to look itself in the mirror and enter the Dexter Fowler market. He would solve 3 gigantic problems. He would shore up the club’s OF – with having Trout and Cole Kalhoun as Gold Glovers already, adding a LF – who was not a bad CF is a great idea. Secondly, Fowler would give them a Left Handed Bat among a bushel full of Right Handed Batters. Thirdly, he could provide them with a leadoff hitter, and thus drop Kalhoun to hit 2nd or 3rd. Fowler has enough thump and eye at the plate to do a good job on a playoff squad. Fourthly. This team may be slow moving out of the gate in 2016 with Pujols potentially being sidelined, and some of the veterans coming off sub-par years like Weaver and Shoemaker. Throw in Tyler Skaggs recovering from TJ Surgery, and these guys may play a lot better in the last half of the year. 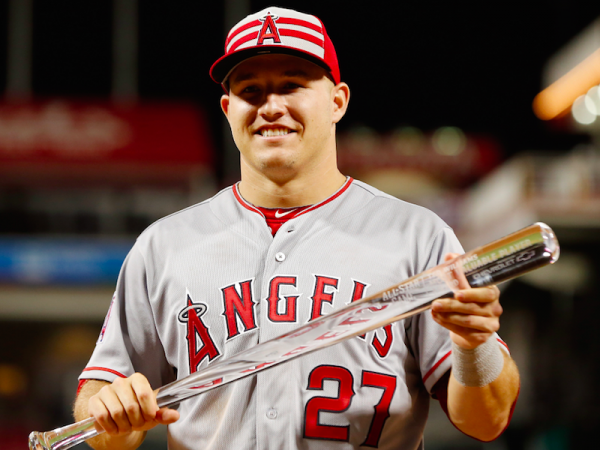 I said it in my bold predictions, that I would not be surprised if the Angels had the worst record in the American League at the ALL – Star Break. I also said I like them to play much better in the 2nd half. So what will it take to sign Fowler? I am thinking a 3 year deal for $33 – $36 MIL is not out of the question. Heck, give him a 4th year, and drop some of the AAV. Sure the draft pick compensation stings a little, but do you really think this year’s selection will get to play when Pujols is still above average? Damn, Trout may be gone from the club before this pick would even enter the big leagues. The truth of the matter is the club wasn’t going to be in on any of the big name Free Agents with inching so close to the Luxury Tax Threshold, but to not dole out any cabbage on offensive improvement is just plain unwise! I may even have a different approach if Pujols was a 100% healthy to begin the year – but he isn’t. The clubs actions in the next 2 months may determine whether there is post season baseball or not in 2016. It is time to get creative. If things go horribly awry in the 1st half – you could always trade several players like Wilson, Weaver, Escobar – or even a Joe Smith or Huston Street to recover some of the cash to be beneath the $189 MIL barrier. The Dodgers, Red Sox, Tigers and Yankees are all over the Salary Tax limit this year, and with the new CBA pending after this winter, the club was smart not to ink everybody they could to hamper future years. But you have a ton of dough coming off the books. Adding a discounted player like Dexter Fowler is about as smart as it is right now. If I wasn’t 100% sure about the Angels signing Fowler before this post – I am now. He addresses so many needs for the Halo’s – and it will not take much more than $11 – $12 MIL a year. The man will be 30 when the season begins. Last year he posted a 3 Slash Line of .250/.346./411 with 20 Stolen Bases and 102 Runs Scored. The Angels would feature an OF of 2 Gold Glovers and an above average LF in Fowler. 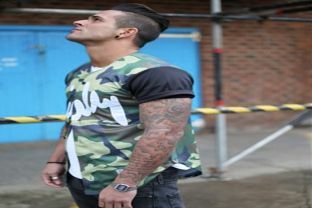 His money is not ridiculous at all for what he would bring the to Angels. Who cares about the 1st RD draft pick when he likely won’t make the majors in Pujols’s productive years, and Trout may be gone by then. Posted on February 4, 2016, in MLB Teams: Articles and Analysis and tagged AL West, albert pujols, andrelton simmons, arte moreno, Billy Eppler, c.j. cron, c.j. wilson, chris iannetta, craig gentry, daniel nava, david freese, Dexter Fowler, erick aybar, garrett richards, geovany soto, hector santiago, jered weaver, josh hamilton, Los Angeles 2016 Payroll, los angeles angels, matt joyce, Matt Shoemaker, Mike Trout, yunel escobar. Bookmark the permalink. Leave a comment.